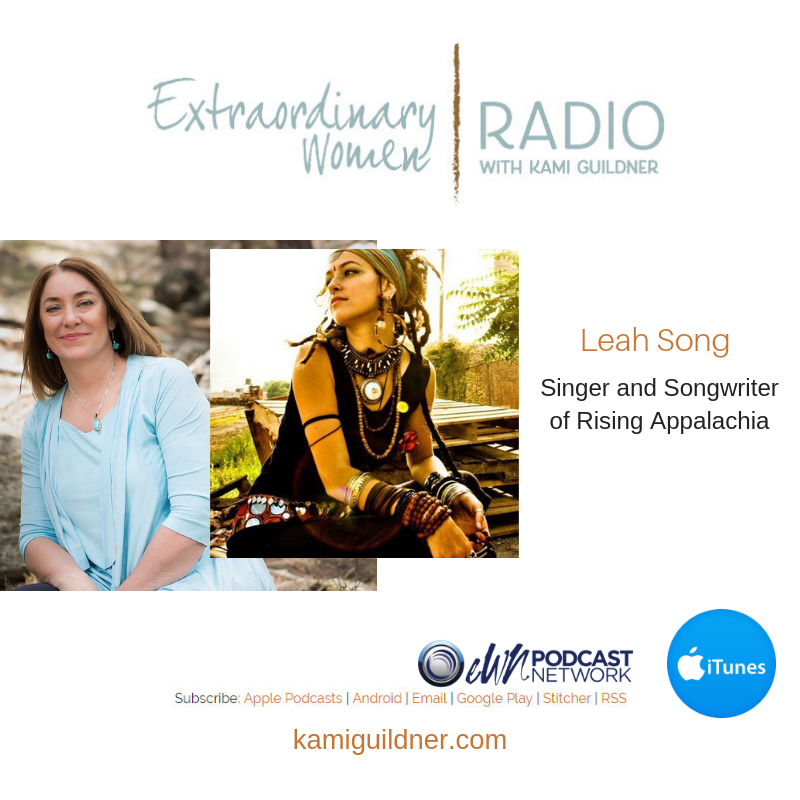 This week’s Extraordinary Women Radio interview is with Leah Song, one of the singers and songwriters of Rising Appalachia. Two years ago as the seeds to this podcast were being planted, I made a list of about 20 women I’d love to interview on Extraordinary Women Radio. Rising Appalachia was at the top of my list. There’s something to be said for writing down your goals, my friends! The harmony of Leah Song and Chloe Smith, the founding sisters of Rising Appalachia, has a sense of deep rootedness, playful exploration, and inspired action. Their sound and message, suggest that voices and traditions, brought together through song, may be one of the saving graces to a world in distress. As someone who loves music – is touched by music – I feel their work is so important. In a time when the fabric of our communities and culture often appear to be unraveling, their interweaving of music and mission, old traditions with new interpretations, creates an atmosphere of contagious hope and bliss. Leah tells so many wonderful stories in this interview! She shares how she and her sister Chloe created an album as a gift to their parent as teenagers, which would unexpectedly launch their career. We talk about how folk story and folk music has shaped the soul-touching songs of Rising Appalachia. We jam about going slow amidst the growth, and Leah shares for the first time behind the mic, the meaning behind her spiral tattoo. You know I had to ask! I love this interview and felt so blessed to get to interview this soulful sister. And a big surprise in the end! Leah shares a small snippet of a song that is going to be on their new album! Enjoy! To learn more about Leah and Rising Appalachia, visit their website or you can follow her on any of her social channels, including Twitter, Facebook or Instagram. Let’s meet Leah Song – the singer and songwriter of Rising Appalachia.